By definition, if they are of the real world, most maps are of places that have been explored. 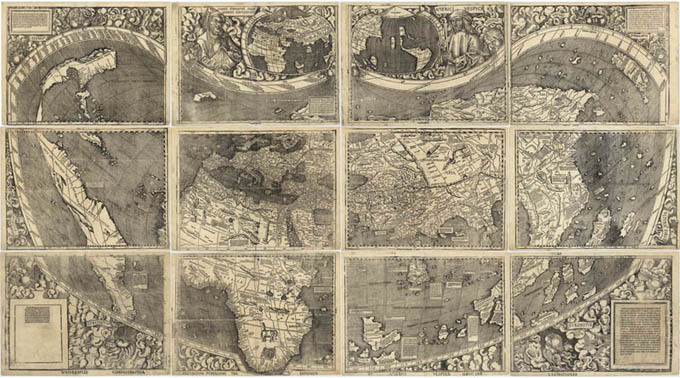 However, as maps were drawn over time, they often included what was known and what was unknown. Naturally, some maps are made by outsiders for other outsiders and there might certainly be others on the inside for which such places are already known. Over on malawicichlids.com, they ask "How do Old Maps Depict the Malawi Region?" Have a look here. 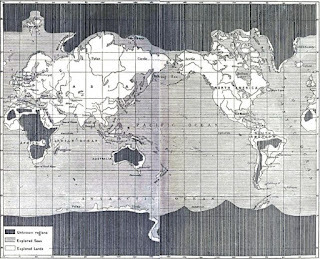 Also, on brilliantmaps.com, they share a "Map of The Unexplored World From 1881" here. 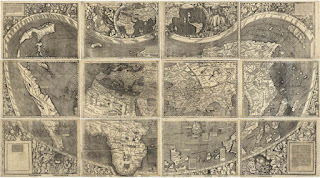 Finally, on loc.gov, check out "Martin Waldseemüller’s 1507 world map" here.